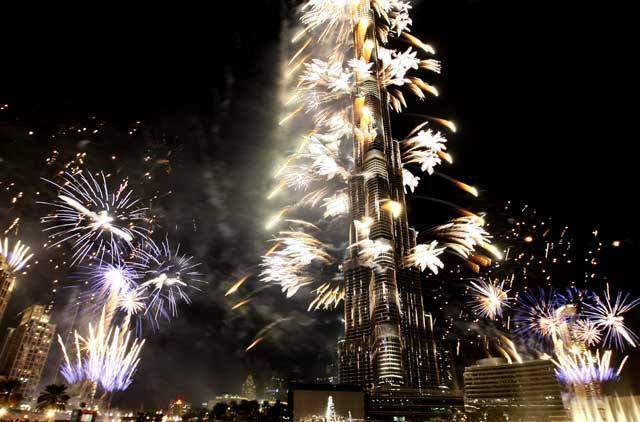 December 31, 2013 -I have made up my mind that even one time in my life here in the UAE that I will try to go out and watch the Burj Khalifa fireworks live and in person. We have been preparing for this life event ever since Christmas. We have watched the fireworks only from the television or in Youtube since 2006. I wanted to see it this time at the beginning of 2014. Our plan was to avoid the traffic. 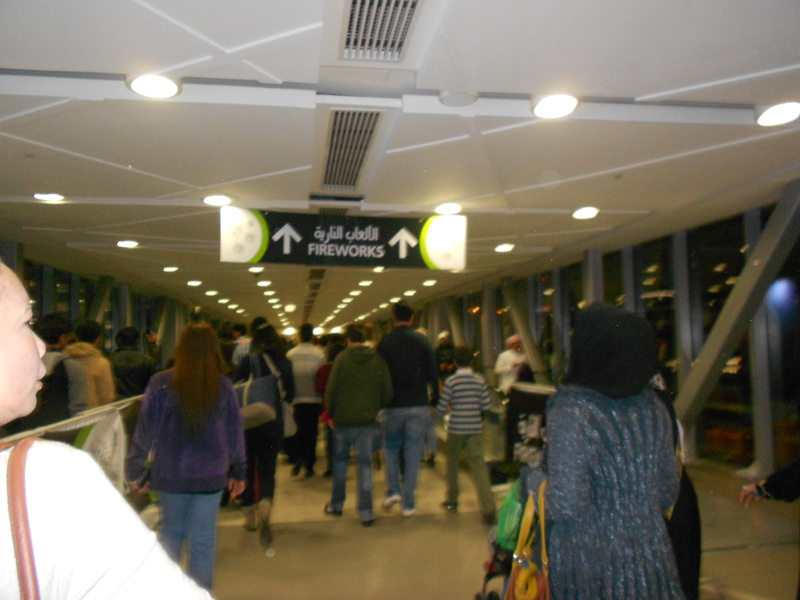 We decided to get to the nearest Dubai Metro station around 7:30 pm, park the car and take the train ride to the Dubai Mall/Burj Khalifa station. It was a simple plan. We will take the red line from the Union station. This marked the beginning of our increasing stress levels. At the Union station, there was already chaos. 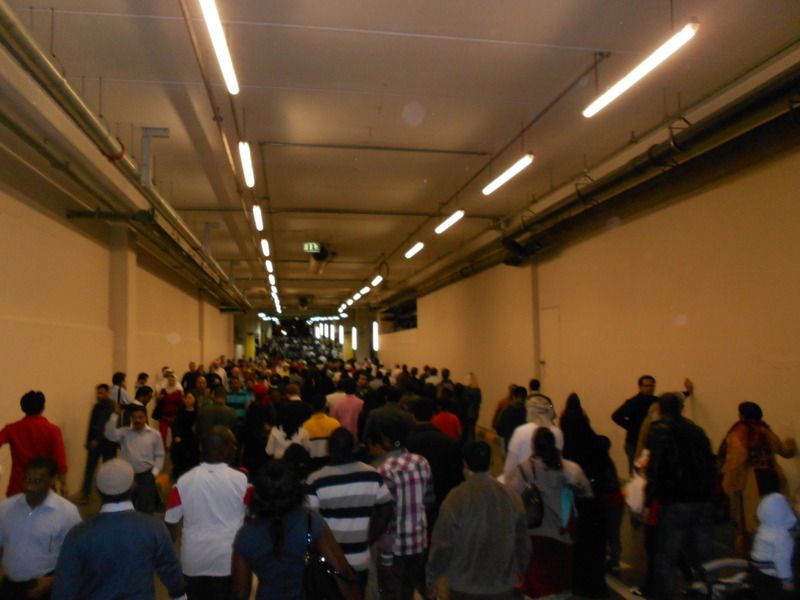 Piles of people waiting to pass towards the gates to the train. The traffic of people was controlled by the police from the stairs. I feel that if people will push from behind, a lot will get hurt if they fall from the stairs. Luckily, I’m a lady and the police prioritize to let pass the ladies and families. We are able to get through. The train was jam packed. It stops in every station but cannot accommodate more passengers. 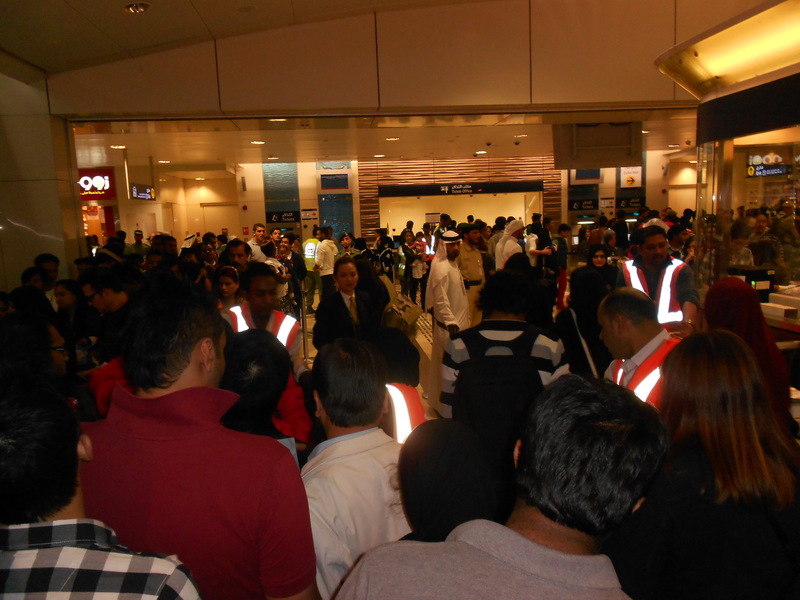 We arrived at the Dubai Mall station and the police were also controlling the flow of the people towards the bridge walkway going to the mall. Families walk in the middle and bachelors on the left. It’s a long walk to the mall. Good thing we were wearing sneakers. At the mall, they placed signs “FIREWORKS” arrow to the left, right, up and down. Good, we will not get lost inside this huge mall. We still have more than 3 hours left so we walked leisurely inside the mall. We followed the fireworks signs that led out to the open areas around the mall. The exit looked like a dugout. We walked through it but I was already wondering why some people are coming back to the mall. I felt uneasy. Something must be wrong. 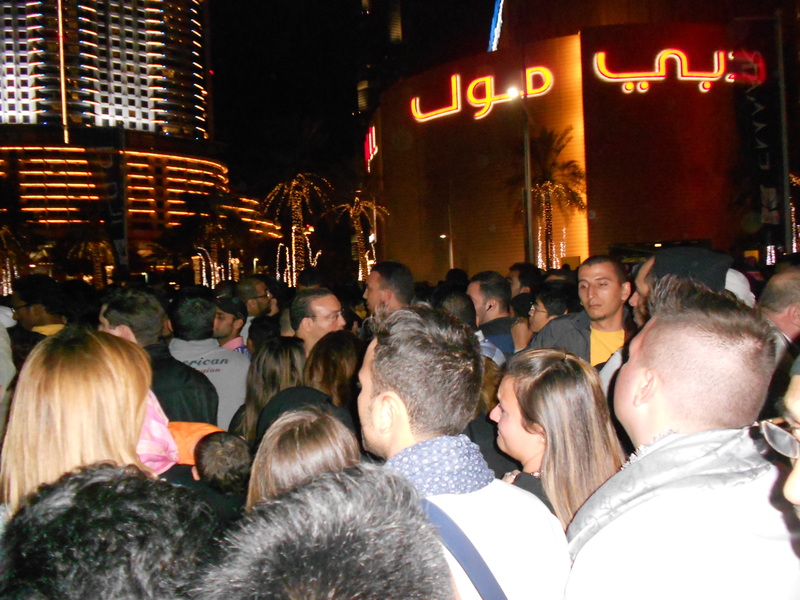 When we were outside a big crowd of people were outside the Address Hotel. I turned around and tried to look for the tallest building in the world, the Burj Khalifa. It’s the reason why we went out of trouble to see it, to witness the fireworks that will draped around it when the clock strikes 12. As we push our way towards the crowd looking for the best place to view it, the crowd was becoming thicker and thicker while the air is getting thinner and thinner. It was hard to breath. It was harder to move around. I raised my eyes up eyeing the tip of the Burj Khalifa. We’re fine were we are. I can see half of the building I thought to myself. Alas, you are not be able to stay put. People start to push forward, push on the sides and push backwards. It was starting to be uncomfortable- not being able to move freely. My personal space invaded! This is not what we had in mind. It was not enjoyable anymore. I tried to calm myself. I told my husband that we needed to look for a better place to see the fireworks. Pushing out of the crowd, we literally fought our way out but still there was no space at all. We settled for another spot where there were mostly ladies and families and away from the roaring crowd of men. 11 PM- one hour left to wait. I have never been this patient in my life. I told myself. There’s no use arguing with the people. We cannot be upset. I looked around. Dubai is really a melting pot of different nations. 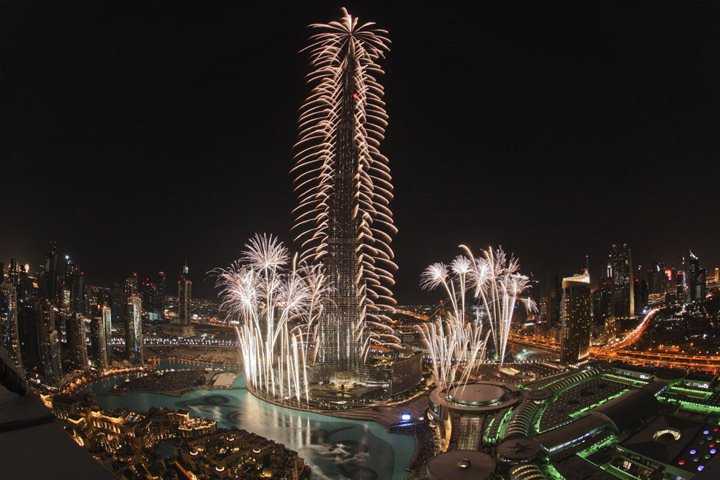 There were mostly Indians, Arabs, Americans, Russians, Filipinos, Chinese, and many other nationalities present just to witness this 4-minutes of grand display. 12 midnight- With my eyes closed, I hear the crowd start to shout happily “Happy New Year! !” I opened my eyes and saw the most magnificent fireworks display. My fear was lost. Chaos that was among the crowd died down. I was in awe. My husband tried to reach me to kiss me but he cannot move as well. I tried to stop my tears from falling. I am here now. I am watching the fireworks from the tallest structure in the world. How wonderful is that! 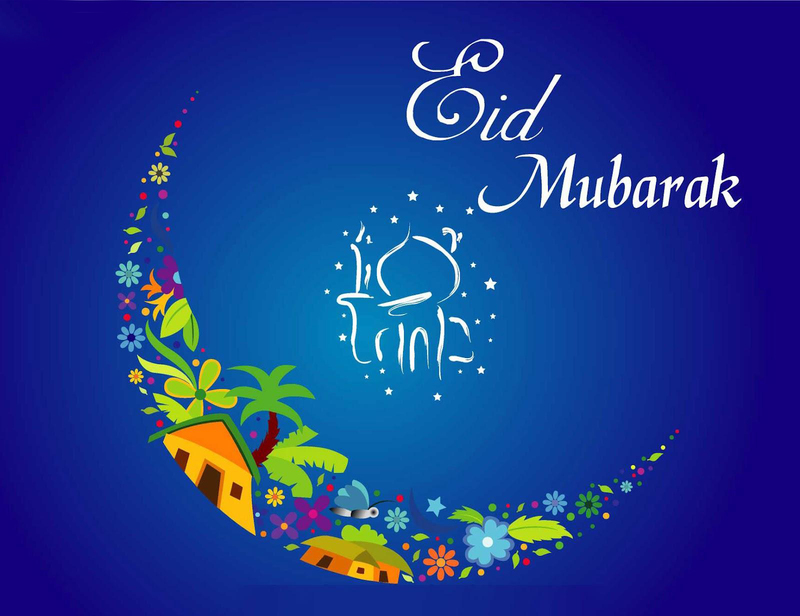 “We’ll check the moon tonight”, a funny remark by my Muslim friend when I asked when is Eid. Some things still I don’t even try to understand but as part of living in an Arab country it doesn’t hurt to educate oneself. Some will be happy, some will be sad. 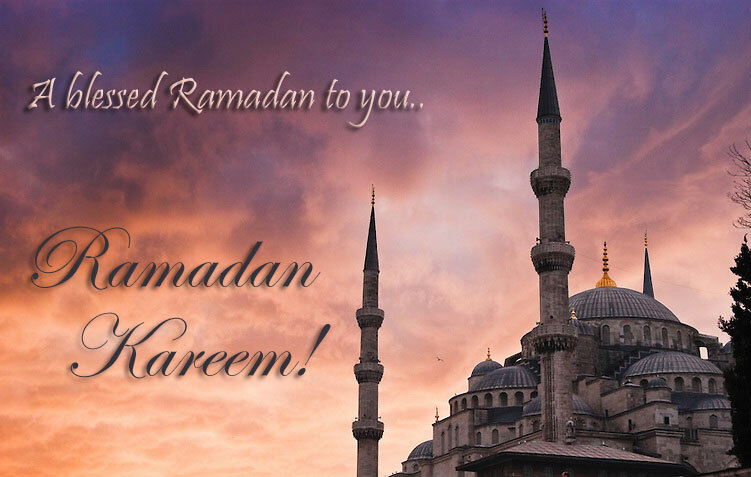 Happy, for the time of fasting is over and a breath of new beginning for all our Muslim brothers. As for us, non-Muslims, we’ll be missing the slow and short working hours of Ramadan. Before starting our regular working schedules, it’s time to reboot. Pack your bags and go on a holiday. It’s Eid! Or maybe not, like me, I don’t want to join the raging swarm of holiday buzzers going to Dubai or out of the country. I will stay put and find things to do in this quiet suburban place- watch movies, go shopping at the local malls, order take-outs, go fishing or swimming. So much to do and alas, so little time. Whatever you had planned this Eid, just enjoy and have fun! It’s that time of the year again. Ramadan! 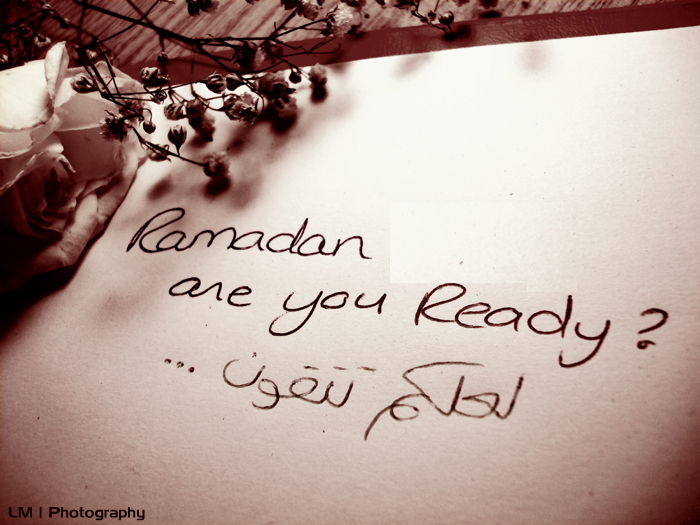 Am I ready for Ramadan? 7 years ago, I experienced “Ramadan” during the hot summer in the UAE. Being a non-Muslim, it was an really an interesting experience. First thing I learned was the “NOT TO DO” during this holy month- no eating in public not even a candy nor a bubblegum. The Muslims usually eat before sunrise and refrain from eating during the day and then break their fasting at sunset after praying. This Ramadan their fasting period is around 14 hours. Its an amazing feat of faith. I cannot stay even more than 2 hours not eating. The Muslims have my full respect on this one. Its really a great sacrifice to deprive yourself with the means to live- food! So here’s my Ramadan routine. I start work at 9 AM. When it’s not Ramadan, I can arrange myself for work at 8:30 AM and then eat breakfast at the office. During Ramadan, I wake up before 8 AM and eat a heavy breakfast that can last me 3 days if you know what I mean and drink lots of water. Stuffing myself, like a camel does, ensures 4 1/2 hours of non-stop work without food and water. The hardest part of our Ramadan timing is coming back in the evening. We usually come back for a 1 1/2 night shift. It’s not a very productive time. Usually, we spend this time drinking tea or coffee while chatting only. I am just happy to get a half-day during Ramadan since we work regularly 48 hours from Saturday-Thursday. During Ramadan, the 8-hour work schedule is 2 hours less. Am I ready for Ramadan? Definitely!